Tove Jansson knew a thing or two about merchandising. Like a one woman Nordic Disney she was, as early as the mid 50s selling handkerchiefs, piggy banks, dustbins, suspenders and marzipan Moomins. Although she did stop short of allowing a line of sanitary towels for young girls – the company wanted to brand them ‘Little My’ because the name suggested a ‘vision of something nice and soft’. Right. 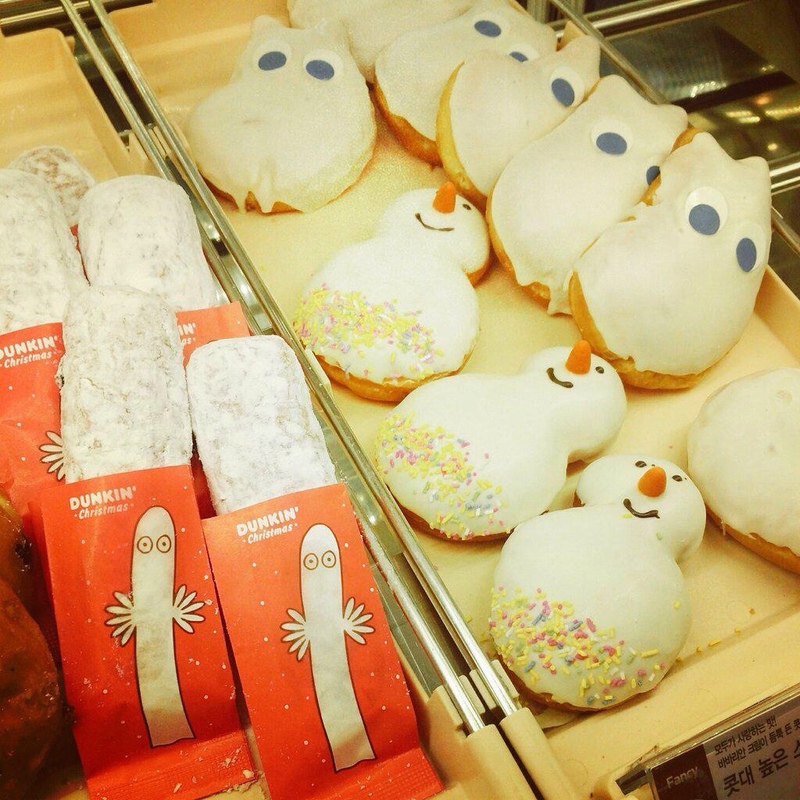 Tove began to regret some of her licensing decisions, but the genie was out of the bottle and today Moomin Characters is one of Finland’s most profitable companies. 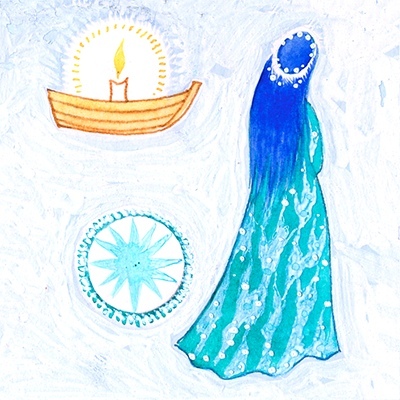 But in the 1970s she began a relationship with UNICEF, producing some fine Christmas cards that still continue to raise money for the charity today. 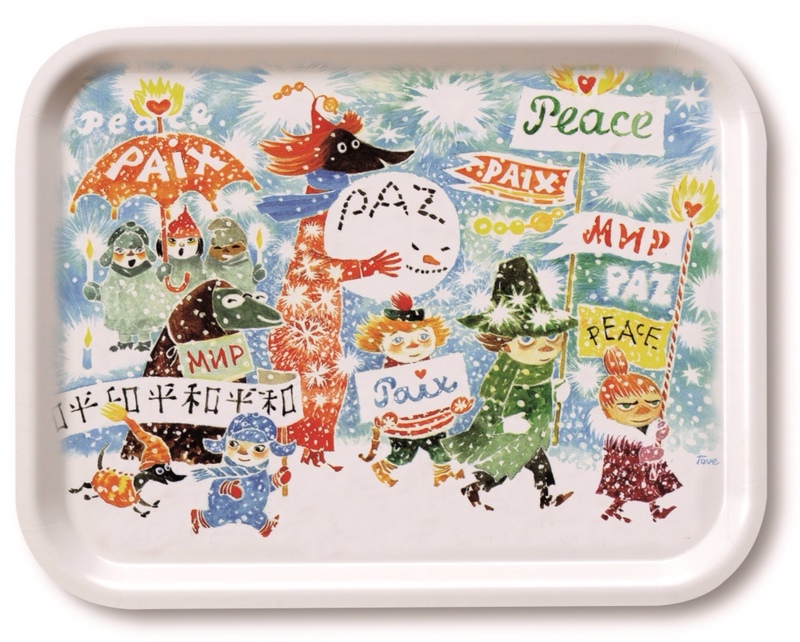 This year the Moomin UNICEF shop has reissued her gorgeous Peace design in the form of trays, coasters and tea towels. It’s a testament to her designs that so little of this manages to remain non- tacky. 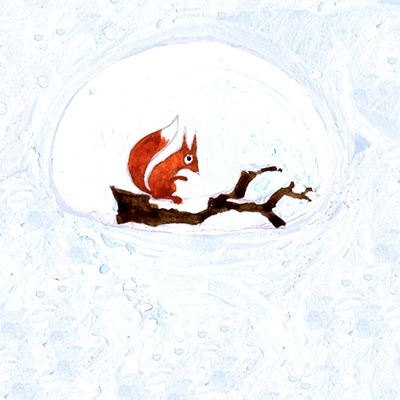 Moomin inc. have their own lovely advent calendar running this year, with specially painted images from a live action Moomin movie from the 70s. Slightly less official, but no less wonderful are these cards. You can choose from scenes taken from the comic strip Winter Follies, in which the family decide to tough out the winter and indulge disastrously in some snowy sports. 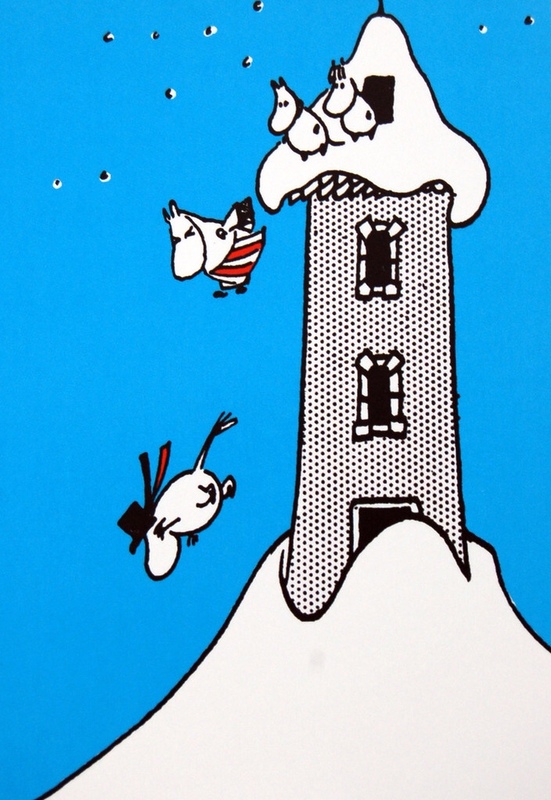 And while we’re looking at Moomin’s Winter Follies, here’s the brilliant moment when the ridiculous skier who bothers moominvalley in the snow causes an avalanche. Tove really was a devestatingly good cartoonist. And finally here’s a variant on the final scene from last years pick for advent, The Fir Tree, which sees the Moomins abandon their Christmas tree, leaving it to the deserving woodland folk. 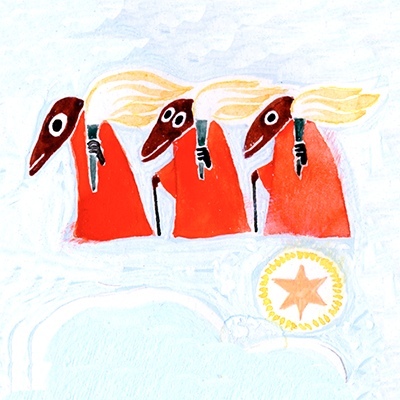 This is the last post in my celebrations of Tove Jansson’s 100th birthday. It’s been great to look back at some of my favourite books. But there is just so much still to discover. 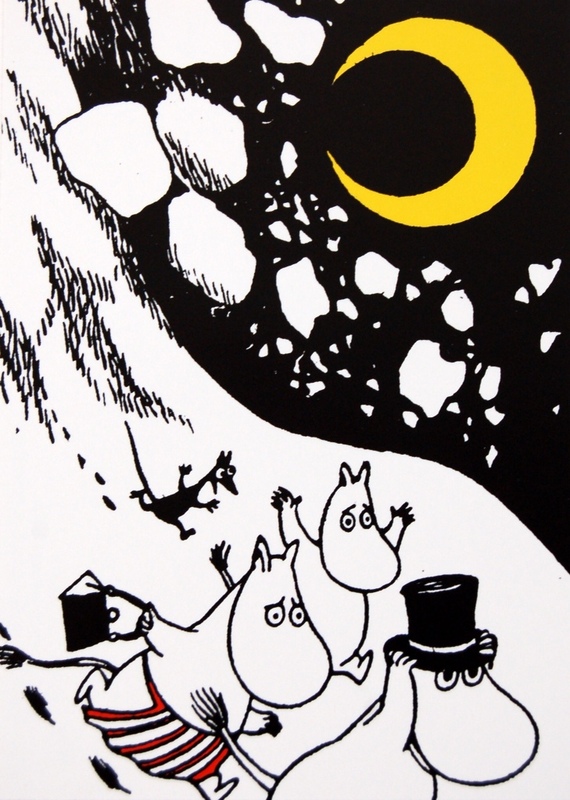 I dare say I’ll be returning to Moominvalley very soon. 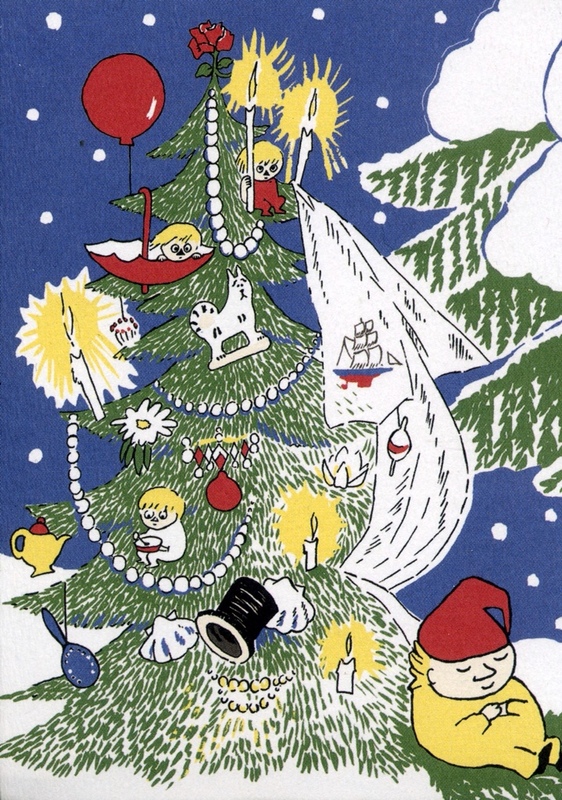 Tags: Moominland Midwinter, Moomins, The Fir Tree, unicef. Bookmark the permalink.